iFonebox (Windows & Mac) is a professional iOS data recovery & iOS data backup tool, With this iOS data backup tool, you can create a backup with date & time stamp, what’s more, you can also select to backup data rather than the whole iPhone backup. iFonebox support to backup up to 16 types data include: Photos, Videos, Contacts, Messages, Call history, Calendar, Notes, Reminder, Safari bookmark, Message attachments, Voice memos. 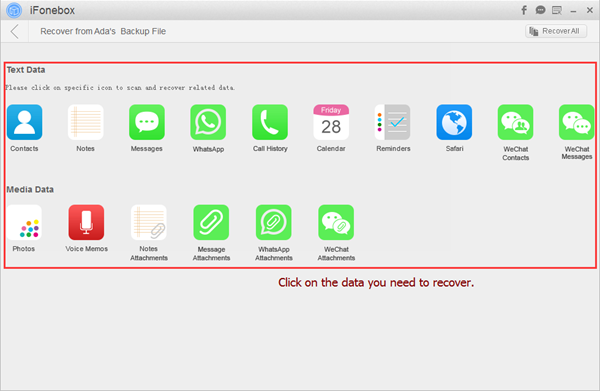 Firstly, free download the trial version of this iOS data backup tool by clicking below icons. 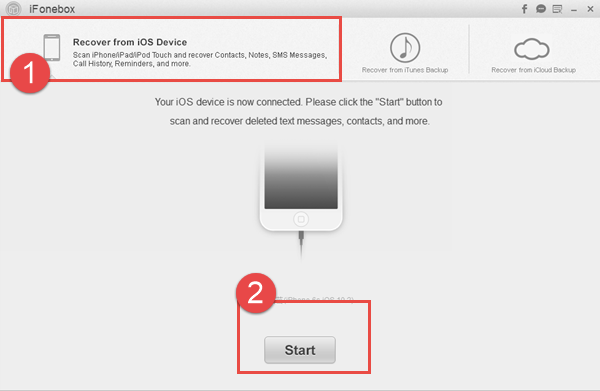 Both windows and Mac are very easy-to-use and works well with iPhone,iPad and iPod touch. Step2 This software will automatically scan your iPhone/iPad to find out and analyze all the existing and deleted files. Scanning time depends on the number of the file on your device. So if there are lots of data on your device, please wait patiently until the software finish the scanning task. After the scan, all data found on your iPhone/iPad will be listed and displayed in the scan result, just click the categories on the top side of the window like camera roll, contacts, messages, notes etc to check which you want to backup and which you don’t. Tick off those you want and click “Recover” button. Now the backup folder has been saved on your computer.